The Lord-Lieutenant of Merseyside, Dame Lorna Muirhead, visited Shaftesbury Youth Club on the evening of Friday 25th August 2017 accompanied by her husband, Mr. Ronald Muirhead to find out all about the youth engagement work going on in the Club. The visit was hosted by the Chair of the Club's Board of Trustees, John E Jones and Chief Executive Officer, Janice Monty, who took Dame Lorna and her husband on a guided tour around the Club's premises. They met the young people who use the Club, its staff and its volunteers, all of whom make the Club a unique place to attend and be involved with. During the tour the Lord-Lieutenant visited the Memorial Garden with its background and importance to the Club explained by Trustee, Barry Eaton, and the visit also included the Computer Suite (sponsored by FMC Lithium), the outdoor sporting facilities, the classrooms and the 'tuck shop' area. Dame Lorna also spent time with staff and young people interested in taking part in the Wirral Youth Parliament. She described the significance of Her Majesty's position within the UK constitution and her personal role as Lord-Lieutenant in support of The Queen within Merseyside. 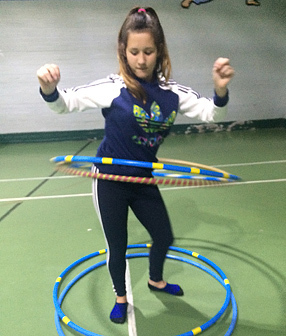 Dame Lorna commented: "It was very exciting to come to Shaftesbury Youth Club. The work being undertaken by the Club is crucial to the local community and to its young people. Those I met were all enthusiastic about attending the Club and were very open with me about why. I very much enjoyed my visit. It has given me a glimpse of how the Club cares about its young people, cares about the local community and how lucky they all are that the Club continues its crucial work." 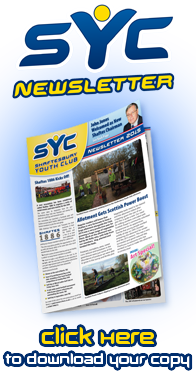 John E Jones added: "It was a pleasure to show Her Majesty's Lord-Lieutenant around the Club and to introduce her to numerous people who attend, work and volunteer at Shaftesbury Youth Club". Footy Fest 2017 Scores a Blinder! The 2017 return of Shaftesbury's Mini Football Fest surpassesd the success of the last year's event with over 80 teams competing in this year's even bigger tournament. 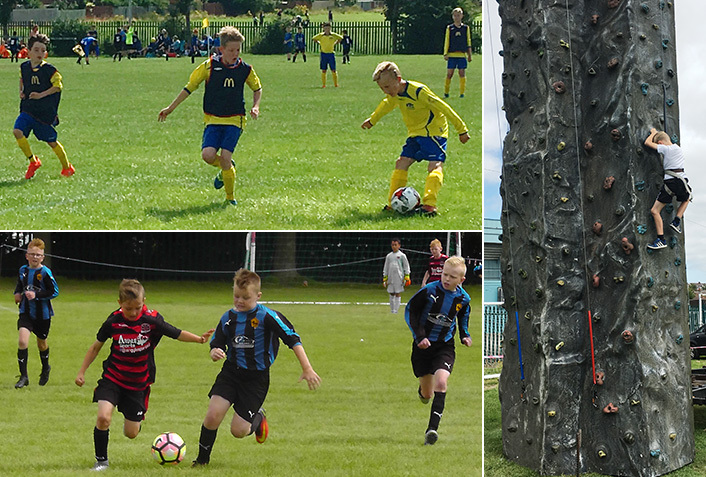 Teams from across Merseyside and Cheshire, with some teams travelling from as far afield as Blackpool and Manchester, attended the event for two days of football and activities for all the family. The players ranged in age from five to 12 years, with the event being staged over the Saturday and Sunday of the 5th and 6th of August on 11 especially marked out grass pitches. Once again we were lucky with the weather and apart from the excitement of the great football action, families and friends enjoyed the added attractions of a climbing wall, face painting and bouncy castle. The Club would like to thank all the participants and visitors for making this year's event such a great sporting and social experience. Plans are already in hand to stage another tournament in 2018 and we hope to see you all again next summer. Drop Your Kids Off at Shaftes Summer Day Club! 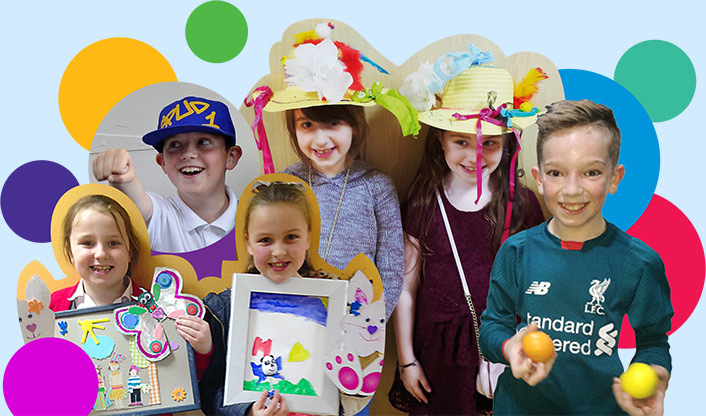 Shaftesbury Youth Club's new Summer Day Club takes kids of 8 to 12 off your hands and keeps them amused over the summer holidays during August. The Summer Day Club runs from Tuesdays to Fridays from Tuesday 1st until Friday the 18th of August from 9.30am to 3.30pm. The Club offers a host of activities and facilities such as fun and games, arts and crafts and general socialising fun. As always, Shaftes team of experienced professionals make sure your kids are in safe hands, letting you get on with your own schedule for a few hours. Shaftesbury Youth Club is looking for three new employees to join its existing team in exciting roles in the Club in support of its work in the wider local community. Full-Time Youth Engagement Worker This role will be to engage with local young people with the aim of improving their life choices through supporting and encouraging their engagement with positive destinations such as learning, employability and voluntary work. The key responsibilities of the role are to plan, manage and deliver exciting new projects, training and opportunities and establish positive links with young people and promote participation through the youth club. This includes working collaboratively with a range of organisations including schools, social workers and various youth services, completing documentation, and managing and developing staff and volunteers. The role is 35 hours a week and the salary is £20,000 to £25,000 per annum depending on experience. Click here to download a full job description of the Youth Engagement Worker role. Weekend Youth Engagement Worker This role is to assist the Youth Engagement Worker to engage and support local young people to provide opportunities for their development at Shaftesbury Youth Club. The position involves running and assisting with Club activities, helping members of the community to get involved and become ambassadors and volunteers for the Club. The role is 16 hours every weekend and the salary is £9,500. Click here to download a full job description of the Weekend Youth Engagement Worker role. Sessional Youth Engagement Worker This role is to assist the Youth Engagement Worker to engage and support local young people to provide opportunities for their development at Shaftesbury Youth Club. The position involves supporting Club activities and helping members of the community to get involved and become ambassadors and volunteers for the Club. The role is 3 - 6 hours a week and the wages are £9 an hour. Click here to download a full job description of the Sessional Youth Engagement Worker role. Applications for all the roles can be made by downloading and filling in the application form below. Click here to download an application form for any of the roles. 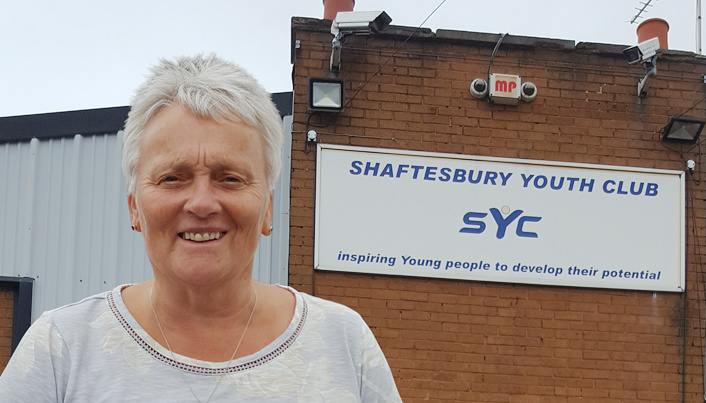 Shaftesbury Youth Club (SYC) has announced that Janice Monty has been appointed and taken the position of its new Chief Executive from June 2017. Janice has an extensive background in youth work and child services, most recently as Contracts and Commissioning Manager in the Children and Young Person's Department at Wirral Borough Council. Having begun her career as a Youth Worker she had gone on to hold a number of important roles with Barnardos, YMCA and Include before joining the public sector. She holds a Masters (MBA) in Public Sector Management as well as Diplomas in Inclusive Management, Advanced Studies in Education and Youth/Community work. Commenting on her appointment, John E Jones, Chair of the SYC said: "We are delighted to have appointed Janice as Chief Executive. She brings with her a wealth of valuable and relevant expertise. In particular, her strong operational experience in other charities and public bodies as well as her focus on the interests of children and young people mean that she is the ideal person to take the SYC forward as an innovative charity in the field of youth engagement." Janice added: "Having worked in the child/youth services sectors for the majority of my career I have always been conscious of the important place the SYC occupies in championing youth engagement. I am looking forward to working with the Chair, Council and staff of the SYC. The SYC has set a clear strategy for the organisation. There is much now to be done to ensure that this unique Club continues to innovate and grow in its sector for the benefit of local youth and the local community." Volunteers enjoy a well-deserved celebration of their generosity with Club representatives. Club Chair, John Jones (top right) gives a tribute to their contribution. 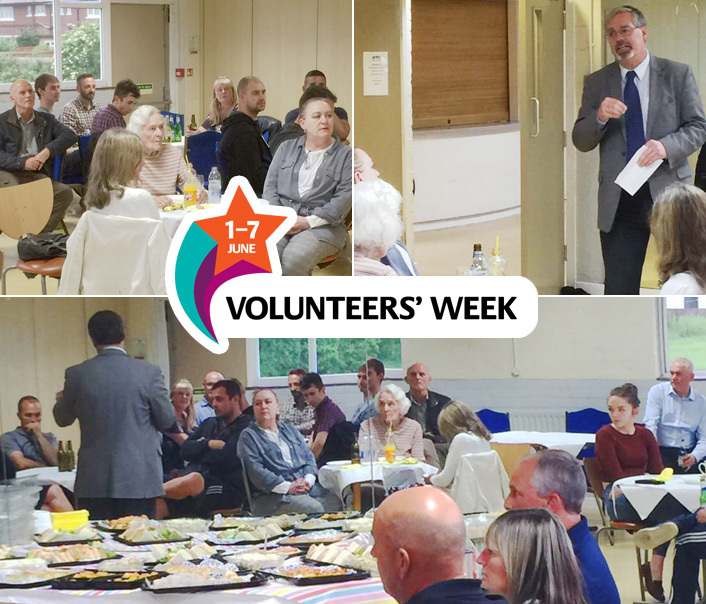 As part of the National Volunteer Week celebrations SYC held a get-together to say a huge 'thank you' to its many volunteers. The time, skills and energy they give to the Club are invaluable in supporting the work and numerous activities undertaken by the young people who take part in them. SYC Chair, John E Jones together with CEO, Janice Monty and Trustee, Barry Eaton, spent time talking to and learning from the volunteers during a busy and vibrant evening. The drink, food and 'chatter' were enjoyed by all. As John stated during the evening "those who can, do. Those who can do more, volunteer". Shaftesbury's Saturday Youth Club for disabled young people continues to be popular with its enthusiastic members. 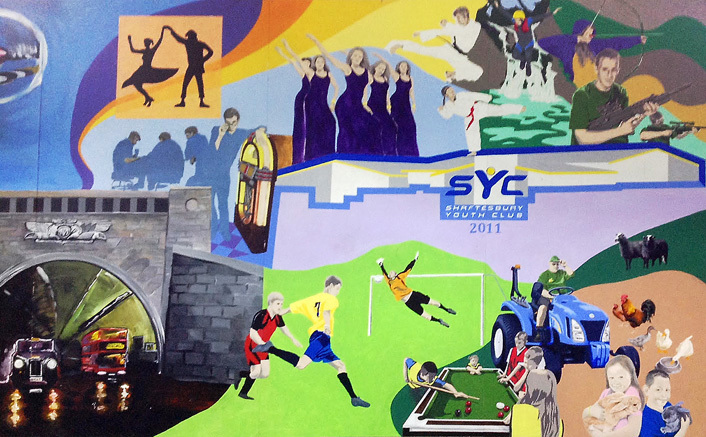 The club offers a host of activities and facilities such as the inflatable assault course and sweeper, sports and games, arts and crafts and general socialising fun. The club is held at Shaftesbury Youth Club every Saturday and is supervised by professional youth workers and Club staff. Young people aged 11 to 25 and older are very welcome from 4.30pm to 7.30.pm and entry costs only 50 pence. 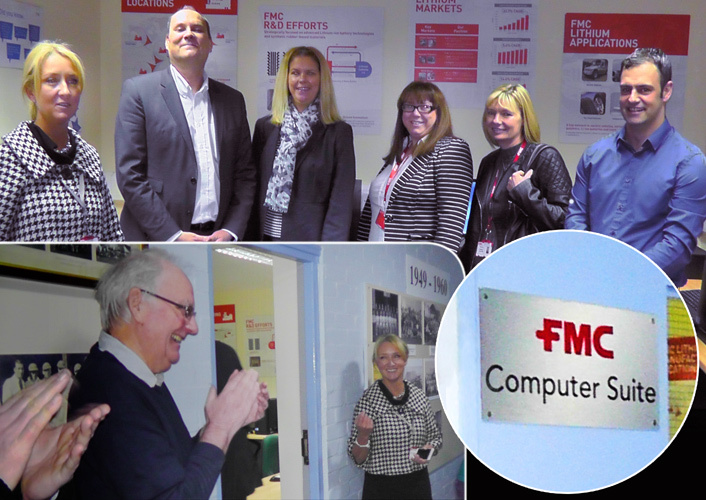 Representatives from FMC Lithium Bromborough were warmly invited to Shaftesbury Youth Club to open its new computer suite. The room has been named the 'FMC Computer Suite' in honour of the local chemical company's continuing patronage, volunteer provision and technical support to the Club. On Monday March 6th, FMC's Bromborough Director Mr Phil Hardwick, HR Manager Sue Keenan and members of the FMC Sustainability Team were welcomed by Club trustees and staff to officially open the new Club facility. FMC Bomborough donated a large cash sum, organised volunteers from their staff to paint and renovate the room and also provided the IT expertise of Staurt McRae who has installed and configured the computers and network. Additional help was provided by Preston's Shepherd Street Trust who donated several new complete computer systems in partnership with FMC. The computer suite will provide valuable educational support and computing facilities to young people receiving daytime education at the Club and also to members of the evening youth club. Shaftesbury Youth Club would like to sincerely thank the staff of FMC Lithium and the Shepherd Street Trust for their continued generous support to the local community's social and educational facilities. New Football Coach and Player Stars Needed! Shaftes is looking for enthusiastic new blood to join its popular football squad as team coaches and players. The roles are within the Under-Sevens and Under-Eights teams for the new 2017 - 2018 season and a great opportunity to develop skills and talent in local community sport. Players interested in joining the Under-Seven and Under-Eight teams need to be in School Year Two and School Year Three respectively. Applicants for the coaching positions should ideally have some experience but this is not essential and enthusiasm and the ability to inspire young people is equally important. Shaftesbury Youth Club coaches get the opportunity to work for a Level 1 FA Coaching qualification and receive training in safeguarding skills. All coaches are fully vetted with a mandatory DBS check in accordance with Club and FA safeguarding policies. Get Involved with Mini Footy Fest '17! 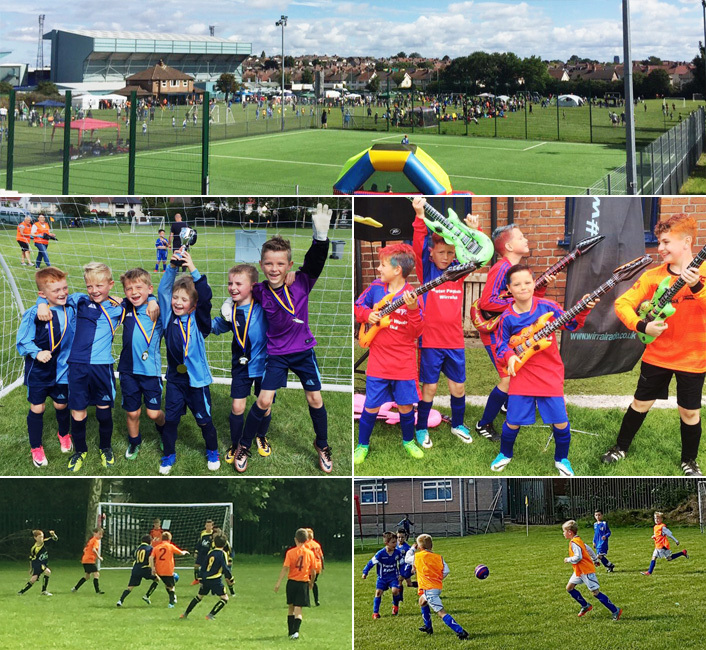 Shaftesbury Youth Club warmly invites you to an exciting weekend of competitive sport and entertainment at its Mini Football Festival in August. The 2017 event builds upon the huge success of last year's tournament with under-12 teams from the wider- Wirral area competing in a thrilling two-day tournament. This year's Lottery Funded festival aims to be bigger and better than ever with great football action and fun, food and entertainment for the whole family. We invite teams with players whose ages in the 2017-2018 season range from under-7 to the under-12 age groups to participate. 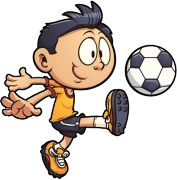 Under 7 and under 8 players will play in a five-a-side competition and all other age groups will play seven-a-side games. Click here to get your Mini Footy Fest 2017 brochure with more details and an entry form! For more details about the event structure, participant requirements and an entry form, download your free Mini Footy Fest 2017 brochure today. Together let's make this years tournament even more successful than ever! To commemorate the opening of the Club's new Memorial Garden, a poster has been produced to thank the many people whose hard work resulted in such a great result. Dedicated as a permanent memorial in tribute to the fallen of the Great War the garden was created by landscaping an overgrown and unused part of the Club's grounds. 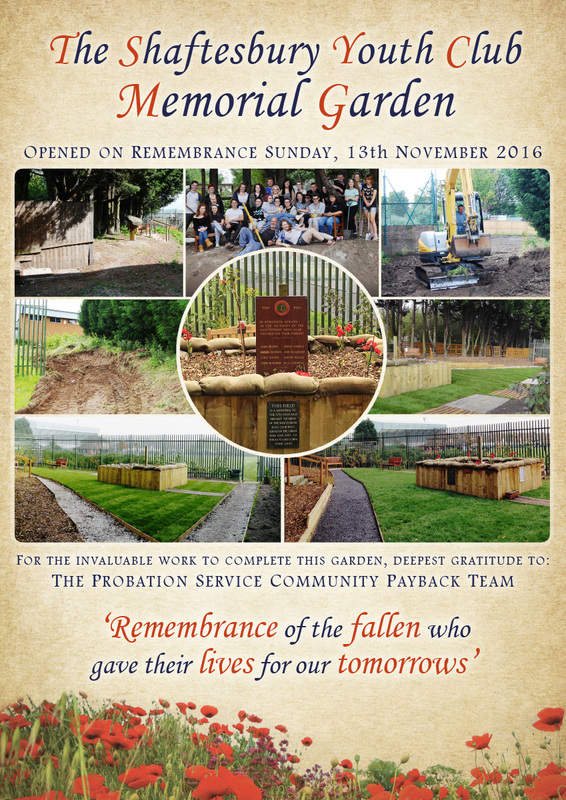 Thanks again to the hard work of volunteer James Kelly who worked with members of the National Citizenship Service to lay the foundations for the garden and Barry Eaton who worked with the Probation Service Community Payback Team complete the work in time for its opening on Armistice Day 2016. Click on the button below to see the poster or click here for a larger version. 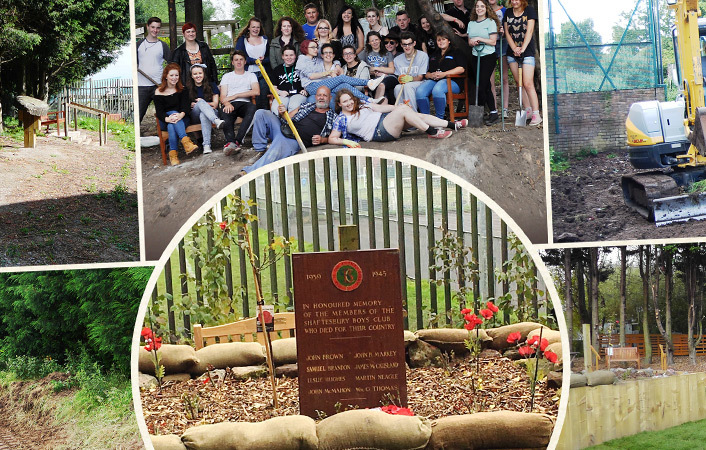 Shaftesbury Youth Club's new Memorial Garden was officially opened on Remembrance Sunday on 13th November by the the Club's Chairman, John E Jones. Located next to the clubhouse and a playing field already dedicated to the fallen of the Great War, it is intended as a fitting memorial to those members of Shaftesbury Youth Club who were killed in the service of their Country. The Chairman thanked Barry Eaton for being the 'driving force' behind the project, the Club staff and volunteer James Kelly who worked with members of the National Citizenship Service to lay the foundations for the garden. He expressed particular gratitude to the Probation Service Community Payback Team for bringing the garden to its current state of splendid completion. The resultant garden is a testament to the hard work and dedication of the organisers and workers, as well as a lasting tribute who those who laid down their lives for their friends and country. A great new evening club has been set up to encourage the young kids aged 3 to 5 to start enjoying sport and particularly football skills in a fun way. The Club is coached by Eddie Hutchinson and held at Shaftes on Wednesday eveneings and Saturday mornings and costs just c3.50 per session. On the 9th of August a small group of deserving young people enjoyed a day out on the 'Pot of Gold' narrow boat on the Cheshire canals near Chester. Many of the young people aboard tried their hand at the helm and all enjoyed the distinctive experience of a day aboard the vessel. The group embarked along the Shropshire Union Canal from the Cheshire Cat pub in Christleton. An excellent trip was enjoyed by all and it was very calm an relaxing on the water. On the weekend of 6th and 7th of August a major football tournament for under 13s was held on Shaftesbury Youth Club's football grounds. Staff and volunteers were kept busy setting up gazebos and chairs in the sunny weather as the enthusiastic young sportsmen aged 7 to 12 awaited the start of the games. The players, parents and coaches enjoyed two days of excellent sport with an impressive display of teamwork, skill and agility by the players. 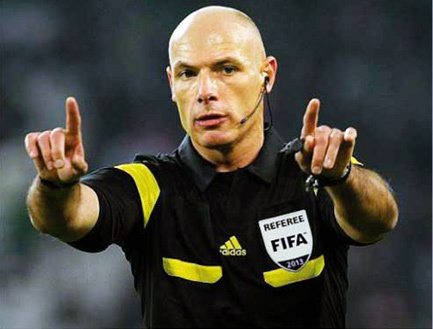 The referees were kept busy by the packed timetable and did an excellent job officiating. The kitchen staff and organisers also did a fantastic job on around the events providing a climbing wall, bouncy castle, inflatable sweeper and other fun and games. Extra support was generously provided by Birkenhead Rotary Club and the Wirral Narrow Boat Association. Additional thanks to Argyle Sport of Wallasey who provided medals and trophies at short notice when a previous order hadn't been delivered. The success of the event has resulted in plans to make it an annual event. Shaftes sponsor, Bromborough's FMC Lithium, generously offered a day of help at the Club on 25th of July. A large group of employees and subcontractors from the Wirral-based company volunteered to do essential DIY and maintenance tasks at the Club. The efforts are part of the company's 'Help in the Community' charter, which aims to forge links with community groups throughout Wirral. The computer room was completely redecorated by the FMC team and the result was very smart and professional and will be invaluable to students attending SYCâ€™s Alternative Education sessions. FMC's IT subcontractor, Ozzie, kindly donated another computer to add to the earlier donation, further enhancing Shafte's computing facilities. The computer room will later be renamed in FMC's honour in recognition of their generous support and assistance. Elsewhere in the club, one of the training rooms was also redecorated with equally impressive results. 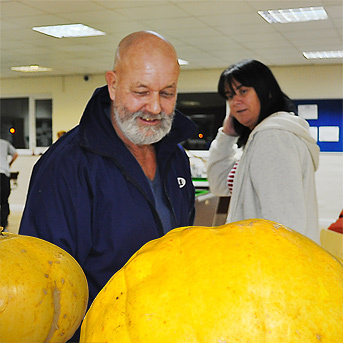 Outside in the Club's large gardens and sports field, pathways were strimmed and the allotment weeded. The decking area was also cleaned and restained with the overall result of much enhanced grounds and valuable maintenance being completed. SYC are extremely grateful to FMC for their continued ongoing support and the volunteers for their tremendous efforts and generosity. We look forward to welcoming them back to the Club in the future. Birkenhead boxing hero Sean Dodd met players and gave out awards at the recent Under-11s football awards night at Shaftes. The local sportsman is the WBC International Lightweight Champion after winning the belt at Goodison Park in May. Sean spent the evening meeting the players, posing for photos and awarding medals and trophies to the talented winners. He was even kind enough to let the young athletes pose with his hard-won WBC belt. Congratulations to the players and winners and many thanks to Sean for his generous support which helped to make the evening a very special event to all that attended. The Cheshire FA is offering training to become an official referee, based at Shaftes in September. If you think you have what it takes in this demanding role, come to the induction evening at the Club on Tuesday 6th September at 7.00pm. The minimum age is 14 and the course runs on the 17th, 24th and 25th of September from 9am to 4pm. The course fee for those that qualify is Â£120. Tranmere is offering football training for girls aged 6-16 years old interested in giving football a try for the first time. 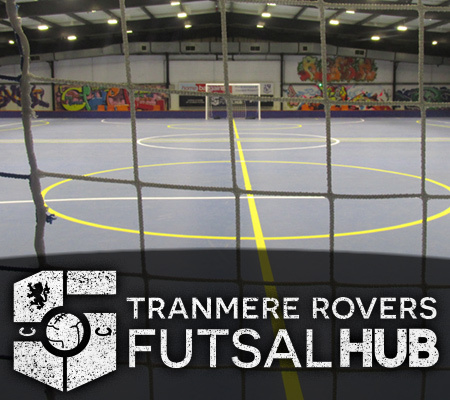 The sessions are based at their indoor Futsal Hub and no previous experience is necessary. Courses will include skill related training sessions with games and competitions. More experienced coaches are also welcome to come along to receive some extra coaching alongside their team training. Courses start on Monday 25th July and Monday 22nd August and cost Â£15.00 per course. FMC Lithium, a major international chemical company, has made Shaftes its offical sponsored charity. The company has a large manufacturing plant in Bromborough and has donated a significant cash sum to Shaftes and has also pledged to donate the result of its fundraising efforts throughout the year to the Club. The company has also offered to help out at the club with a volunteer open day in July. FMC Corporation is a leading global specialty chemical company serving agricultural, industrial, environmental and consumer markets globally. The company employs 5,500 people throughout the world and its facility in Bromborough is focused on products derived from lithium metal such as lightweight alloys, batteries and lubricants. Shaftes is grateful for the generous support of FMC and their commitment to their local community. Shaftes is dependant of the grass-roots support of local businesses and benefactors and is delighted to gain the patronage of such a significant Wirral-based organisation. More information about FMC can be found on the FMC website. Donations to Shaftes can be made through Golden Giving and the official Shaftes page. An recent evening of breathtaking circus skills delighted club members and they even got the chance to learn the ropes for themselves with some expert tuition. The demonstrations and workshops included juggling with balls and clubs, skipping, hula hoop and even trying the tricky unicycle. The delighted members enjoyed themselves so much that they were were disappointed that the event was not on every week! 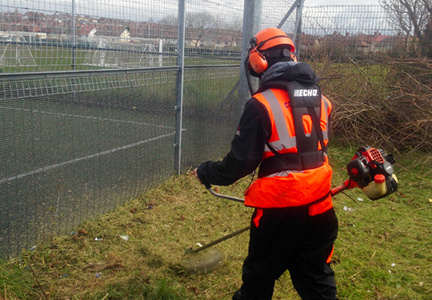 The Probation Service is providing valuable assistance at the Club in maintaining the grounds. As well as the regular weekly litter picking they will also be carrying out project work on the memorial garden and allotment and have been at work clearing the weeds from around the Astro pitch. Many thanks to the Service and its workers for all their help. A Wirral amateur footballer and former Shaftes player has produced a collection of poems about the beautiful game which is being launched at an event to be held at Shaftesbury Youth Club on Saturday 27th February. The published work is by James Dillon from Birkenhead, entitled Itâ€™s Raining (Poems from the Pitch). James has long held the twin passions of poetry and football, playing in his local Saturday/Sunday league for 29 years - and also reading at live poetry events in Wirral and Liverpool. He has published other volumes of poetry, but this is his first one specifically dedicated to football. The book is comprised of four strands: It's Raining; The Magpies Stumped; a section on the professional game and its fans, and a final part about the amateur game and the eccentricities of its players. Nicola Palios has written the Foreword, Peter Hooton the introduction and possibly for the first time in literary history A Centre Foreword written by Peter Davenport also features. The launch event will be attended by the author, contributors to the book and friends and will include readings, reminiscences and bar facilities, from 7.30pm. Please contact Shaftes on 0151 608 7165 or by emailing info@shaftes.org.uk to book your place. The collection can be purchased from the Tranmere Rovers Club Shop at Â£5.00 per copy. All proceeds from the collection will be going to Shaftesbury Youth Club. New association for former Shaftesbury players kicks off! A new association called Shaftes 1886 has been launched to organise a series of social events and raise money for the club. The name takes its inspiration from the year Shaftesbury Boys Club was founded and already it has organised gold days and a well attended memorial match.The association has also launched a Facebook page and Twitter account and wants as many former players to join the new group. 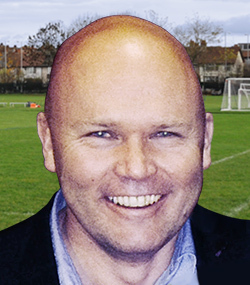 1886 chairman Paul Turner said: "Everyone has fond memories of their playing days at the Shaftes and a few of us have been talking about setting up an former members group for a while now. The new association provides the opportunity to catch up with old friends while at the same time raise much needed funds for the club. We want to attract as many former members as possible. "Weâ€™ve already organised highly successful golf days and a memorial match last summer and more events are planned for 2016. We want to make a real difference to the club. So, for example, over the next few months we are planning to carry out improvement work on the pavilion with former members contributing their time voluntarily." For more details about the group please email Paul turner at paulturner7@btinternet.com or call his mobile on 07841 996612. You can also contact the group via Twitter @Shaftes1886 or its Facebook page Shaftes 1886. 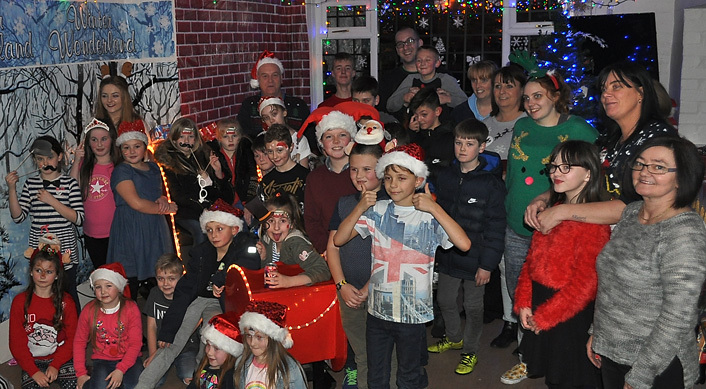 A night of bridge was organised in December at Shaftesbury Youth Club to raise funds for the organisiation. The friendly and competitive atmosphere was enjoyed by the participants and a raffle also featured. Many thanks to all the attendees, organisers and helpers. The 2015 Shaftesbury Christmas party was well received and attended with a great turnout. 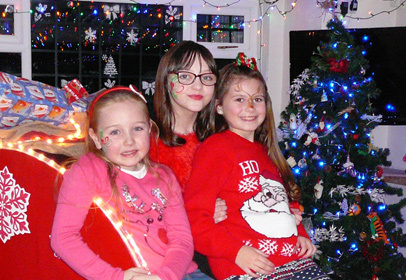 The festive fun and games included face painting, dressing up, visiting Santa's grotto and sleigh, and other seasonal celebrations. Many thanks to all the members who attended and of course the organisers and helpers that planned and ran such a popular and successful event. 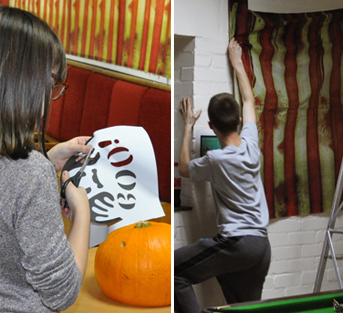 Christmas is coming and artistic members of Shaftes have been busy creating their own decorations for the occasion. The results of their creativity and hard work are truly impressive and will really add to the Christmas spirit when they are displayed. 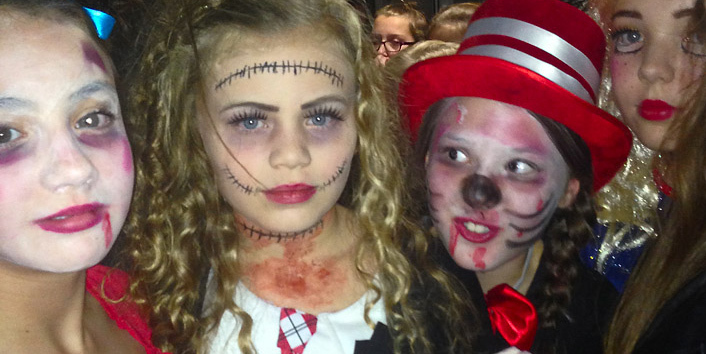 This years Halloween party at Shaftes was a great success and attended by over 100 young people and their parents. The creepy creativity and inventiveness of the costumes was truly an amazing, scary and colourful sight. The atendees were inspired by horror, TV, movies and books and dressed as devils, monsters, freaks, mutants, zombies and crazed killers. Some of the youngsters had even made a creepy lifesize hanging dummy (right) to guard the entrance to the haunted graveyard! Well done to everyone who got involved and contibuted to a great night of freaky fun. Many thanks also to Debbie Davies for taking the photographs of the event shown above. 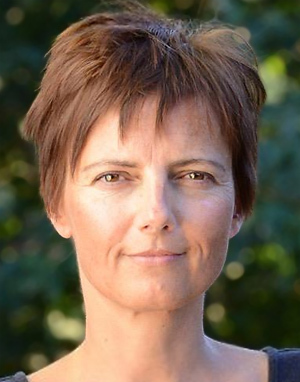 The Shaftesbury Youth Club has today announced that Nicola Palios has kindly accepted appointment as Honorary President of the Club with effect from 1st July 2015. This appointment follows the stepping down of John Gordon-Smith after more than ten years heading the organisation. Nicola is a co-owner and Vice-Chair of Tranmere Rovers Football Club. She has also spent the last 24 years working in law and international financial services, ultimately as the CEO of Mourant Group, a multi-national law firm and trust and fund administration company with 1,200 employees across 10 jurisdictions. She now provides consultancy services primarily to the private equity industry on acquisitions and disposals within the financial services sector. She also holds a number of non-executive directorships. You can follow Nicola's posts on Twitter here. In 2016 Shaftesbury Youth Club will be celebrating 130 years of continuous service to the young people of Wirral. It was founded by a group of local businessmen who wanted to improve the life chances of boys living in poverty in Birkenhead. The Charity was established and continues to be managed entirely by voluntary Board members. Today it provides youth activities and educational services to boys and girls from the ages of 8 to 19 and has never been more popular or more needed as a safe and stimulating place to go for our members. For example, we regularly see 100 young people attending an evening session, particularly on Friday evenings when school and work has finished for the week. These young people might be playing snooker, football, rounders or table tennis, involved in discussions, using the computer room, dancing, having fun on our large inflatables, talking to their friends and the staff or just generally enjoying the freedom and support we are able to offer. We want to focus on the â€œbehind the scenesâ€ work carried out by our volunteers, Council (or Board) and friends, without whom the Club would not be able to function in the way that it does. It is designed to inform our supporters, who include parents, sponsors, patrons, donors and friends, about some the changes and developments that are happening, to ensure that â€œShaftesâ€ will continue to flourish and has a bright future ahead.